Many years ago, farmers invented pulling as a challenge to prove who owned the strongest and fittest team of horses. Tied to a wooden sled piled high with bags of wheat, grain, or sand, the owner’s team would pull the sled to see whose could move the sled the greatest distance. As steam and gas powered vehicles began taking over the work done by horses, so it was that these early machines found themselves in the pulling arena. Today, tractor pulling has become one of the most aggressive forms of competition as a show of brute power and strength. Unlike most other forms of vehicular competition, such as racing, where a racer may rely on speed and his ability to handle such speed to be first in his category of competition, a puller will rely on POWER, along with training and instinct to get the most out of his vehicle. As in days past, a puller’s prime objective is to pull a weighted sled the furthest distance possible along a given straight course. However, the sleds of today are unique themselves in that as the sled moves, so does its weight. Starting towards the rear of the sled, a weight box moves forward, creating even more down force and friction for the puller to contend with… and hopefully overcome. 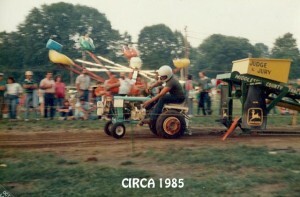 Middlesex County Tractor Pullers began in September 1982, originally as a 4-H Club. Today, we have approximately 80 members, between the ages of 5 and 70, who travel around Connecticut to compete in the sport they love. 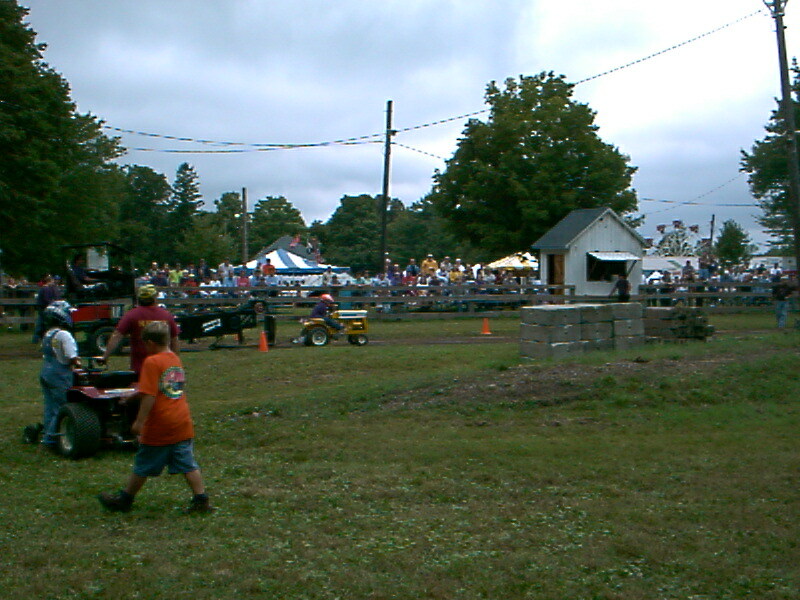 We participate in numerous pulls each year. If you’re interested in the sport of lawn and garden tractor pulling or want more information about joining MCTP, please contact one of our officers.